Shop Local, Shop Oregon! Along with exquisite artisan gifts from the Holiday Market, local products from Made In Oregon and fan gear from The Duck Store, discover local, Oregon-made gifts and souvenirs at the Adventure Center in Springfield and share a little bit of Oregon with your family and friends! Did you know the huge Christmas tree at the U.S. Capital in Washington, D.C. is coming from Oregon in 2018? In fact, it is from our very own Willamette National Forest. 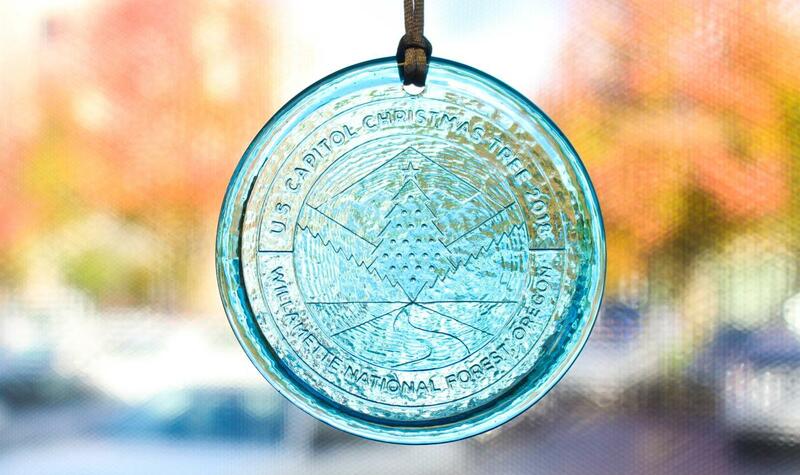 Celebrate with this one-of-a-kind commemorative glass ornament, handcrafted right here in Eugene. Each ornament comes boxed for only $10. 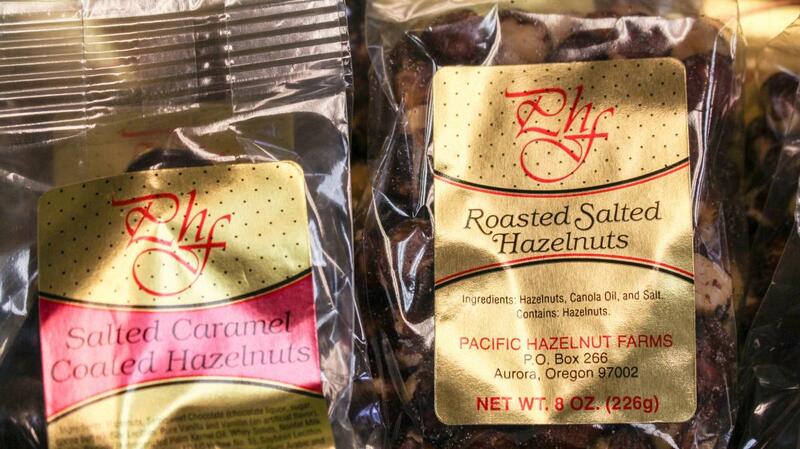 Oregon is famous for its hazelnuts and these come straight from the orchard in three styles: chocolate-covered; salted caramel-coated; and roasted and salted, in 4 oz and 8 oz bags. 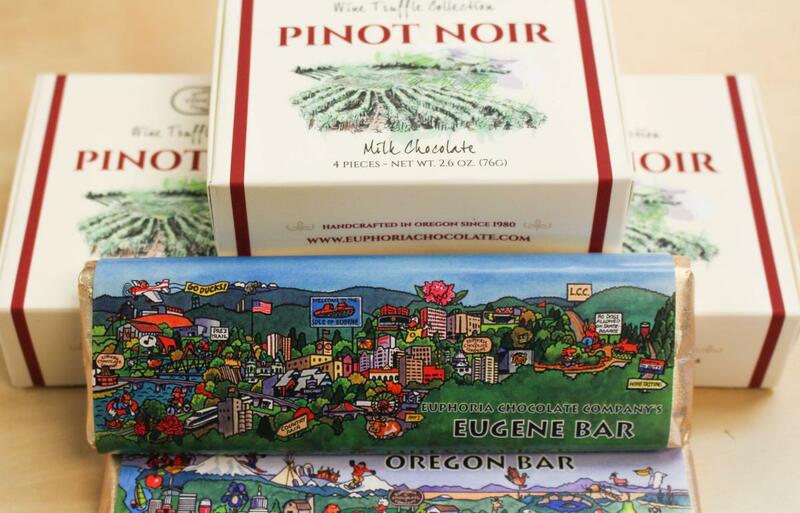 Enjoy these delectable truffles from Eugene&apos;s own Euphoria Chocolate Company. Handcrafted in dark or milk chocolate with local Willamette Valley Pinot Noir wine, these 4-piece boxed truffles make wonderful stocking stuffers and hostess gifts. Chocolate bars wrapped in artwork depicting local sights also available. These beautiful eco-friendly straws are decorated with colorful glass droplets and come in two sizes, straight 8" or bent 10". Made from shatter-resistant Pyrex, they are durable and even come with their own cleaning brush. 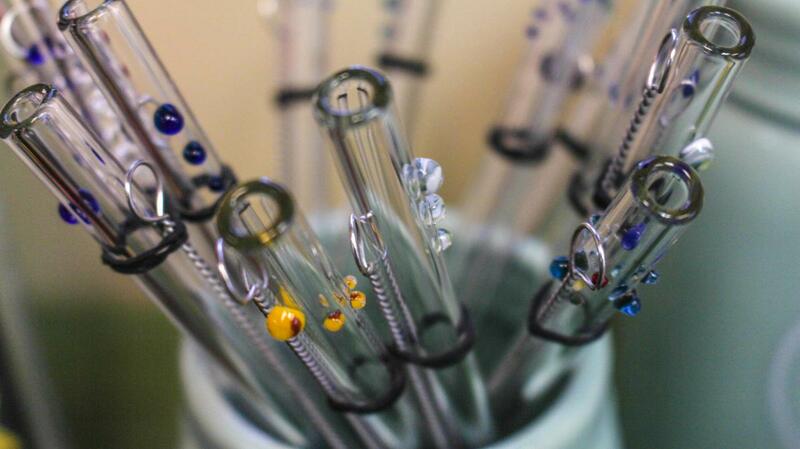 Keep them in your car or office and never use disposable straws again! 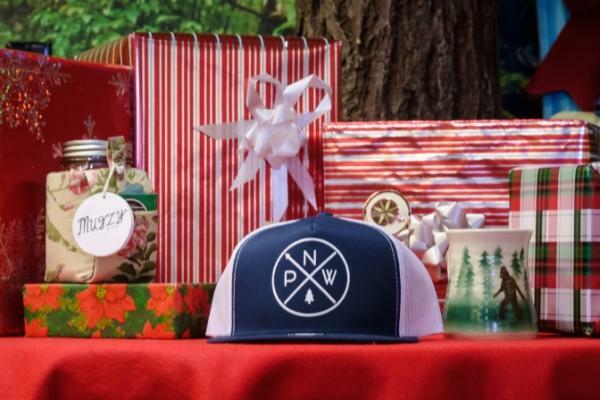 These and many other gift items, including Crippen PNW decals, t-shirts, sweatshirts and hats, mounted photographs by local artist Dayna Law, and a wide array of souvenirs can be found at the Adventure Center and the Visitor Center in Downtown Eugene. For more Oregon-style gift inspiration browse our list of local retailers and gift stores. Happy shopping! Diana Wells is the Visitor Center Manager and Retail Buyer for Travel Lane County. In her previous life as a New Yorker, she wrote several travel guides and owned a travel specialty bookstore in Rockefeller Center. Diana has lived in Eugene, Oregon for over 18 years, and loves camping and hiking with her daughter, kayaking mountain lakes and travel of any kind.